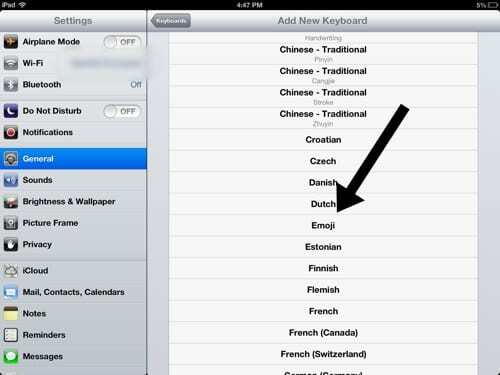 Q: I have an iOS device (iPad, iPhone or iPod) and the emoji keyboard is not on the list to select. Where is it? 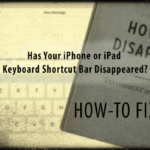 A: Find the emoji keyboard in any app that uses the standard keyboard, like Mail or Messages. iOS offers a lot of emoji that you can use. 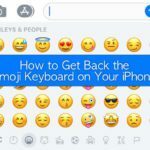 You need to enable emoji from the keyboard settings. Go to Settings > General > Keyboards > Add New Keyboard… and select Emoji. And With Messages in iOS 10 and above, you can send bigger emoji. If you send more than three emoji or add emoji with text, emoji adjusts to a smaller size. 1 You Can Even Replace Words with Emoji! 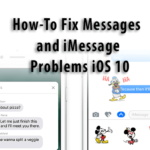 3 Looking for Predictive Emoji for Texting? Or Predictive Emoji Not Working? You Can Even Replace Words with Emoji! With iOS 10, the Messages app shows you words that you can replace with emoji. 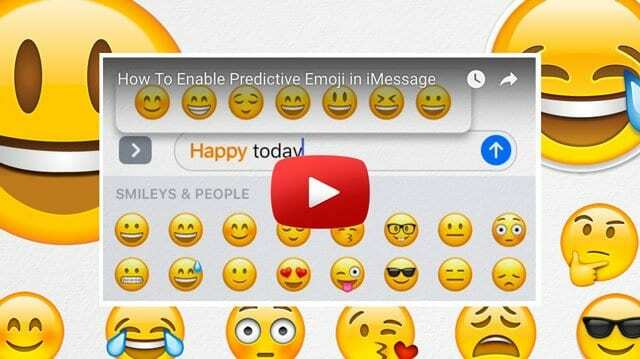 Looking for Predictive Emoji for Texting? Or Predictive Emoji Not Working? 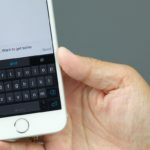 With Predictive text, you write and complete entire sentences with just a tap. As you type, choices for words and phrases you normally use appear. These are based on your past conversations and writing style. There are also suggestions for emoji you may want to use. 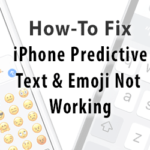 To use a Predictive emoji, write your message and look for the suggested emoji in the predictive input field, then tap it to replace the word or add an emoji. 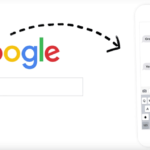 To turn off Predictive text, touch and hold your keyboard’s smiley face or globe icon. It’s as simple as that! 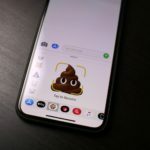 How does Samsung’s AR Emoji stack up to Animoji? 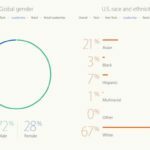 Is Emoji Diversity Good Enough?